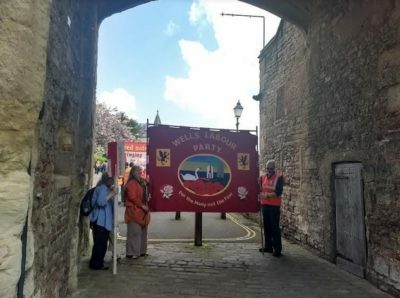 “Bandiera rossa la trionferà evviva il socialismo e la libertà!” So sang the Red Notes Choir as they led 200 people around Wells on the first Saturday in May 2018. 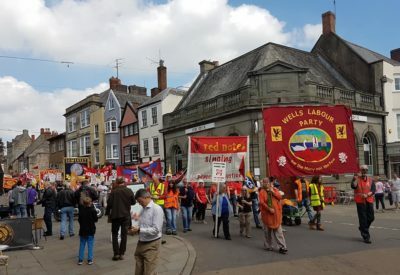 The Red Flags will be triumphant, long live socialism and freedom. 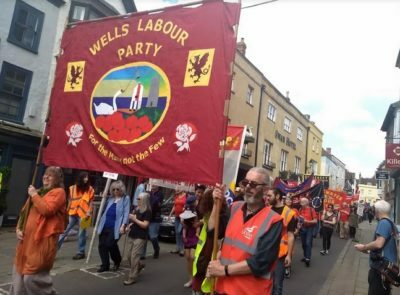 And so it seemed as nearly every Labour Party and Trade Union in the county turned up with their red banners flying as they marched around the Cathedral City of Wells to the Bishops Barn where family fun stalls, tea and cakes, the folk band ‘Seize the Day and even a Blacksmith awaited them. 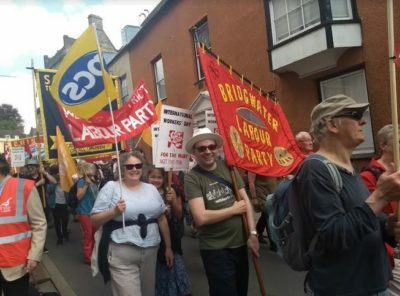 The rally was addressed by Ruth George, Labour MP for Derbyshire High Peak, Paul Turner, Wells CLP Rural Affairs Officer, Jacky Carter, Wells CLP campaigns organiser and Nigel Costley, South West TUC Regional Secretary. 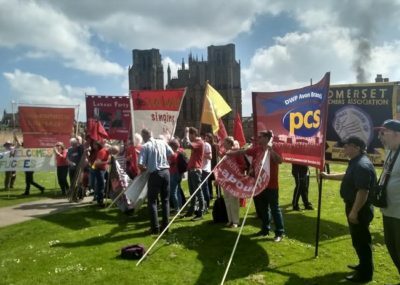 But the keynote address was by veteran Bridgwater socialist Dave Chapple, organiser of many May Day Rallies back in the 1980’s. 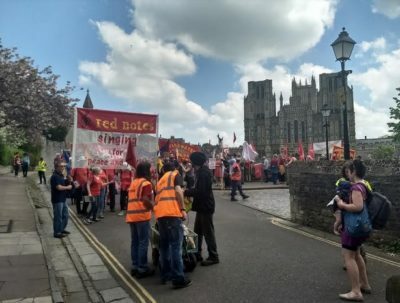 Dave is not a member of the Labour Party, as he made clear, but for historical record we relive his speech in full below. 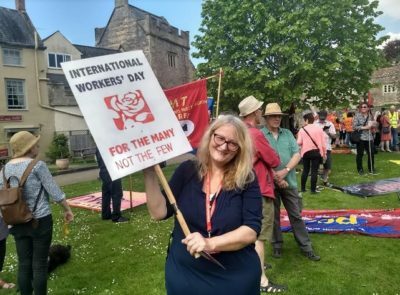 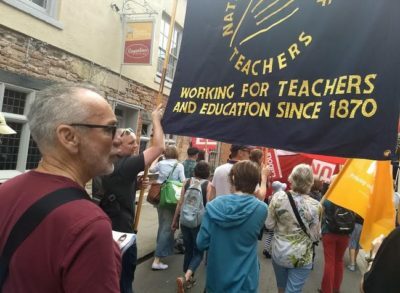 “International Worker’s Day greetings from a life-long Somerset trades unionist, a school-cleaner for 11 years, a postman for 38, a shop steward for 35 of those years, to the Wells Constituency Labour Party for organising this, the first May Day March in Somerset for 24 years.